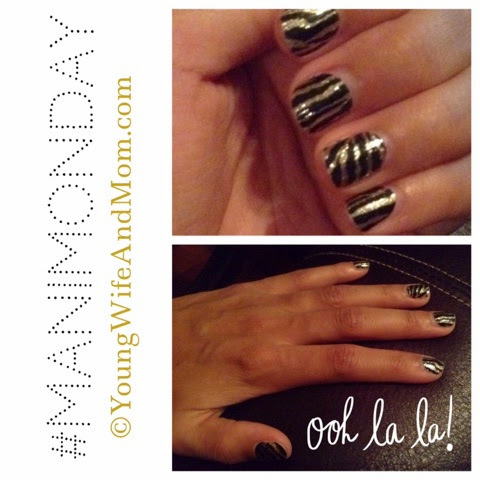 Today's nails feature Sally Hansen Salon Effects Real Nail Polish Strips in 08 "On The Prowl." It's a black and gold glitter tiger stripe. One pack of 16 nail strips was enough to do a manicure and pedicure for me. How-to post coming soon!